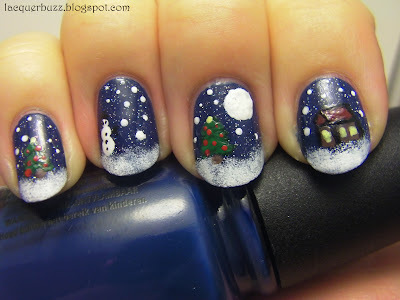 Lacquer Buzz: Getting Ready for Christmas: Christmas Party! Hello lovelies! Merry Christmas! As I'm writing this it's still Christmas Eve and I'm waiting for my official Christmas manicure to dry (it's glitter, what a surprise). Here in Romania we celebrate on the evening of Christmas Eve, which means we'll be opening presents and having dinner soon. The last couple of weeks have been very busy for my blog and I posted daily for 10 days straight. I'm gonna take a couple of days off to relax and spend time with my family and friends, so there won't be a post tomorrow. Today's post is the last from the Getting Ready for Christmas challenge and I'm very proud because I've finished it by the actual holiday. To be honest, I've cheated a bit on this challenge. First off, we had to do a manicure and makeup look but I only did a manicure. 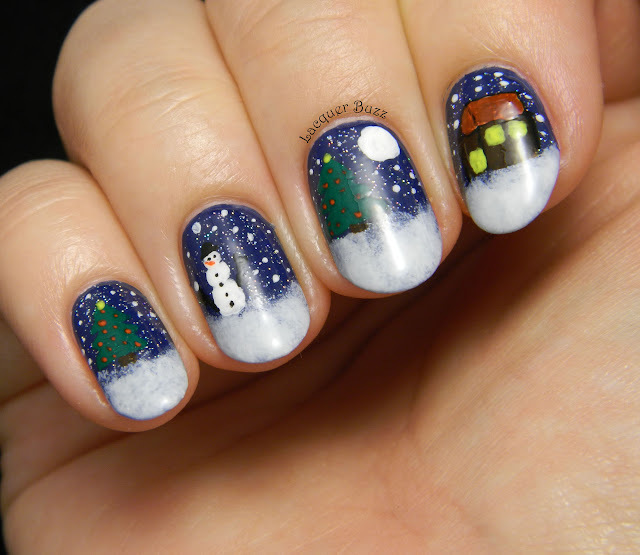 Secondly, my manicure isn't exactly party inspired but it is Christmas related so I hope you won't mind. 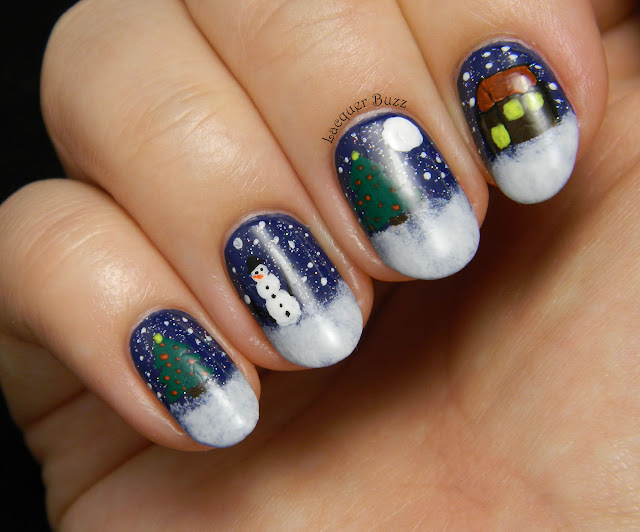 I decided to recreate one of my favorite Christmas manicures of all time, one that I made two years ago. My skills weren't that great back then and my photos were a mess. I will show you the original so you can compare. Click on the picture to be taken to the original post. What do you think? Have I improved at all? The base color I used for these nails is China Glaze First Mate with a coat of INM Northern Lights on top. I then sponged some white on the tips and freehanded the rest using acrylic paint. 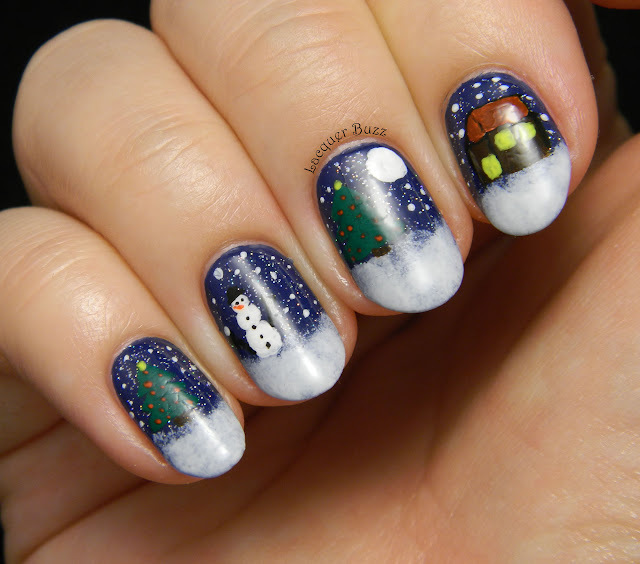 The only thing I don't like is that the top coat smoothed out the sponged tips and made them look less snowy. 1. Not yet, but almost! Thank you all for coming with me on this journey and a big thank you to Elsa who created this wonderful challenge. I wish you all happy holidays and the best time with your loved ones! Merry Christmas! So love that base coat color-plus this mani rocks big time!